Unique contact cleaner, conditioner, enhancer, lubricant and protectant for PLATED metal surfaces. Improves conductivity, maintains optimum signal quality, reduces fretting & dendrite corrosion and stabilizes connections between similar and dissimilar metals. Molecularly bonds to both base-metals and plated surfaces and seals out oxygen, protecting both surfaces. 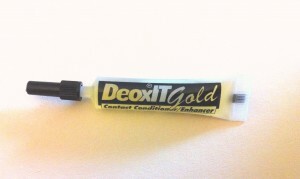 The DeoxIT® Gold coating is excellent at reducing wear abrasion, arcing, RFI and intermittent connections and improves connector performance/reliability. 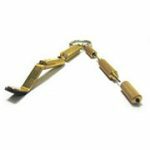 Ideal for gold plated surfaces. On oxidized surfaces, pre-treat with DeoxIT® D-Series contact cleaner. 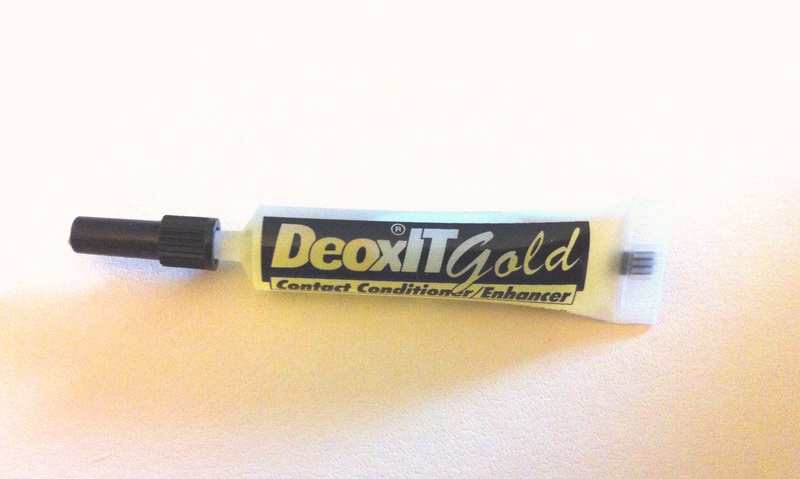 On surfaces that have been in service or have visual signs of oxidation or corrosion use Deoxit D100L-2C (see my other items). 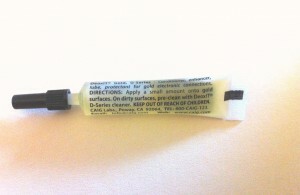 Apply a drop amount to the metal contact/connector surface. 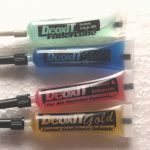 If required operate the part/device to help distribute the Deoxit Gold to break up minor amounts of oxides and contamination (Test for compatibilty before use). Re-apply a drop to metal surfaces and wipe off excess. It is important to wipe excess, as only a thin coating is required on metal surfaces. Wait 2mins before turning equipment on. 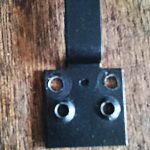 If you notice a green or black colouration on the surface (may take a few days) after applying, this indicates dissolved oxidation (surface was severly oxidised) follow steps above one more time. For severe environment protection: After surface is clean, apply Deoxit Shield S100L-2C (see my other items) for outdoor and severe environments (humidity, salts, pollutants, sulfur, etc).